DMS offers a complete suite of ERP, CRM, WMS, and financial software & service solutions designed by Distribution and Technology pros to help Warehouse Distributors and Manufacturers achieve greater operational and drive more profit to the bottom line. The background for our Industry-leading and state-of-the-art software solutions is the result of over 20 + years of experience in operating Warehouses, Jobbing and Retail Parts operations for a family business. This background experience gives DMS a unique perspective into what it takes to make Warehouse Distributors & Manufacturers more efficient and profitable. DMS’ software technology has been under continual development, refinement and enhancement through the years and is field-proven to be reliable, easy-to-use and highly cost-effective. It helps you gain faster control and understanding of your business dynamics in order to make real-time decisions that will positively impact your operations and bottom line. DMS DX+ Cloud-Services provides the same superior features and benefits of the successful traditional local IBM server-based version but in an all graphical Internet Hosted environment. All you need to get started with a DX+ Cloud-Services solution is a high-speed broadband connection to the Internet and a web browser. DMS provides the IBM Servers, Software, and System Administration from our two (2) “state-of-the-art” Data Centers located in North Carolina’s premier RTP Technology Center near Raleigh and Portland Maine. Small and mid-size businesses can enjoy a unique business advantage with DMS’ DX-System™ “On-Demand” DX Cloud-Services™. 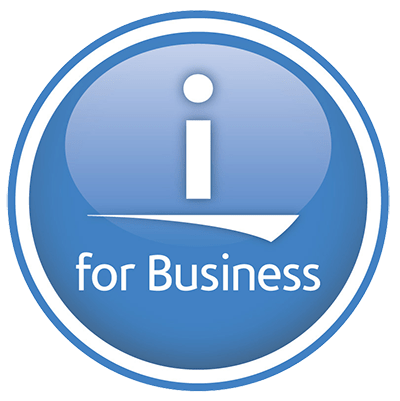 Our subscribers pay a one-time setup, conversion, & training fee and then a monthly usage fee to access our Inventory Management, Business Intelligence, and Financial applications suite. The ability to add new users, applications and business units as you grow makes DMS “On-Demand”’ DX Cloud- Services the most flexible and cost-effective Business Systems solution you’ll ever find. NO Server to Purchase or Maintain! NO Dedicated IT Staff Required! NO Large Capital Outlay Required! NO Delays for System Installation! Fast access to your business applications is always available. 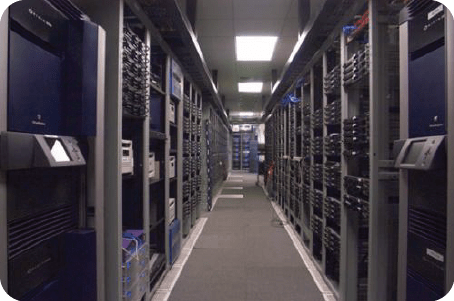 Our Raleigh, NC Data Centers feature high-speed Internet access via multiple and redundant OC-12 Tier-4 connections to the Internet, interfaced directly to the Internet backbone by 1Gbit (one billion bits per second) fiber connection. DMS' ultra-reliable IBM Power servers are connected to redundant generator and battery-backed power sources and your data is backed up nightly for your fail-safe security. With multiple connections to the Internet through several Tier-4 Internet providers, plus instant fail -over capability to keep hardware and connectivity live, DMS will provide you an exceptionally reliable Hosted experience. 256-bit SSL encryption helps keep your data safe from hackers and our servers are monitored 24 hours a day, seven days a week by on-site Data Center personnel. IBM Power servers have never experienced a successful virus attack and our Hosting Partners, Sungard & Windstream, are two of the nation's largest and most respected Business Hosting providers. With technology partners supporting DMS like IBM, Cisco, Adtran, Sungard and Windstream, your data and business operations are in secure and trusted hands. DMS uses IBM Power Servers featuring the robust IBM DB/2 Relational Database as the basis on which its extensive software solutions have been developed to provide the most reliable Inventory Management applications in the Parts Distribution Industries. These proven DMS software technologies have helped Warehouse Distributors & Manufacturers dramatically increase turn rates, decrease inventory investment and sales costs, while increasing customer satisfaction and significantly improving profitability.